I fall more and more in love with Indonesia at every turn. I am by no means an expert on it, (not yet anyway) just someone who dreams of living the rest of their life in the jungles of Borneo. It seems every time I fall in love with a new species they are close neighbors of the orangutans, whether it be the beautiful hornbills (O.A.P. 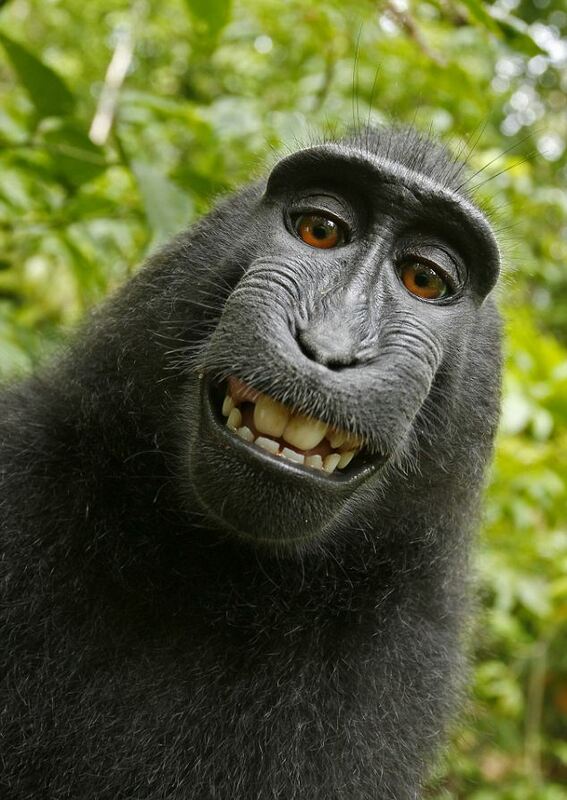 to come), or even the ever-curious black crested macaque. So you want to know a little bit more about the black crested macaque, also known as the celebes black macaque? These guys live in patriarchal groups ranging in size from 5 to 25, with one dominant male. They have a bright orange bottom, that does swell during mating time, which contrasts nicely with their completely black coat and skin. These guys feed on fruits, seed, flowers, bird eggs, and even small vertebrates like birds, frogs or lizards. These guys are in fact monkeys, but don’t really follow that rule “if it doesn’t have a tail it must be an ape,” because from first glance it looks as though they don’t have tails, when in fact they are just little nubs. 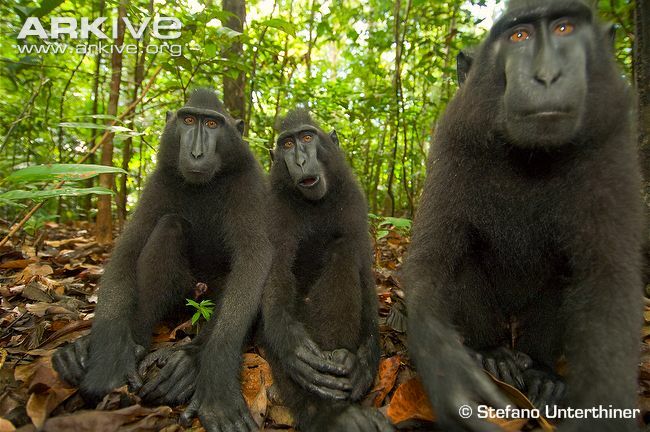 THe celebes black macaque was just recently upgraded from endangered to critically endangered by the IUCN Red List. This is due to habitat loss and hunting as they are considered a delicacy to eat. There is a very large population of introduced black macaques numbering over 100,000 individuals, but it is not counted when IUCN looks at the population because they are considered a pest species and an introduced threat to Bacan Island. There are actually little more than 2,000 individuals left in their natural habitat. What I love about these guys is their eyes. They have such a mischievous and intelligent look about them, not to mention just how beautiful they are. So give a little more attention to the all of the other primates out there and lets not forget about the black crested macaque.